Admit it: You've lusted after the giant 30-inch desktop monitors you've seen in stores. Imagine what you could do with all that screen real estate, and all those pixels! But hold on a minute--those giant displays aren't necessarily all they're cracked up to be. 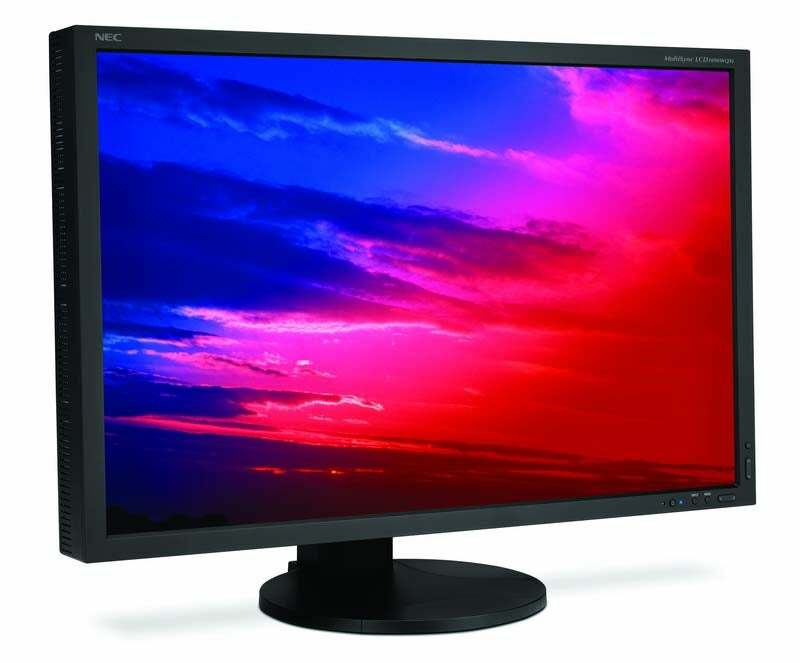 A typical 30-inch display like the NEC MultiSync LCD3090WQXi will set you back more than $2000. Sure, they're high resolution (typically 2560 by 1600 pixels), which gives you plenty of detail. But they're also so wide that the distance from your eyes to the screen varies. If you're sitting 24 inches from the center of the screen, then you're 28 inches or more from the corners. That may not seem like much; but after working in front of the monitor all day, you may develop eye fatigue from constantly having to adjust your focus closer or farther as you look around the screen. The ideal shape for a large screen would be a curve, keeping your eyes at a consistent distance from the display as you work. The other problem with a gigantic screen is that it's a single, vast, unstructured area. That may be okay if you're editing huge, high-resolution images, but most folks who depend on PCs work with lots of information. That means that you probably use a Web browser, a word processor, a spreadsheet, and e-mail, all at the same time. Use all of those applications at once on a giant monitor, and you run the risk of having a cluttered desktop where you have to drag and adjust windows constantly. Beat big-screen envy with a lower-cost quad-screen setup. 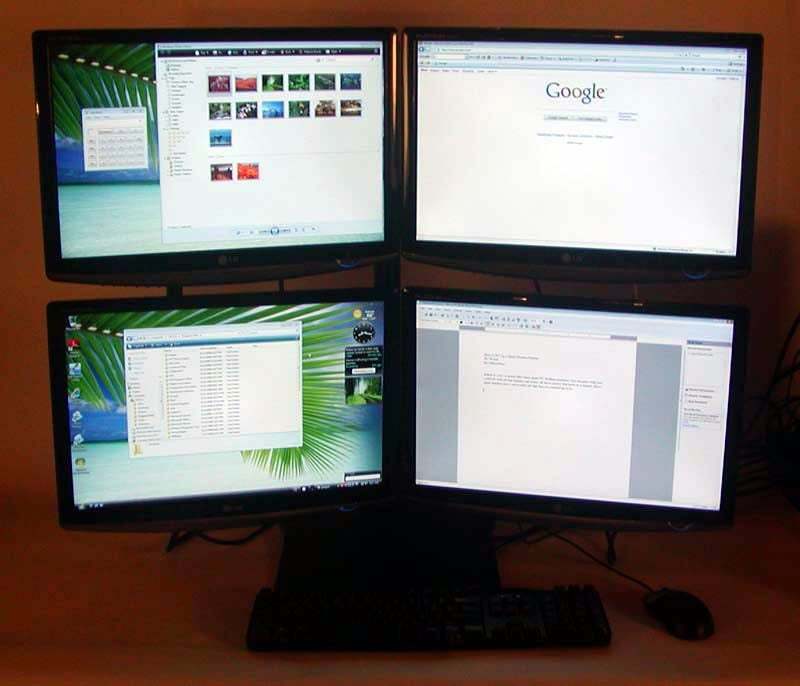 Now here's an alternative to consider: Instead of one big screen, use four smaller ones. You can get four 19-inch wide-screen monitors for significantly less than $800 total. Add $300 for an extra graphics board and a desktop monitor stand, and the cost is still lower than that of one 30-inch display. In this case, however, you end up with the equivalent of a 38-inch-diagonal monitor, an area of 2880 by 1800 pixels--over 25 percent more pixels than a 30-inch monitor offers. This setup may not be as slick as a curved display, but you can angle the panels to make them more ergonomic to view. And by dividing the display into four sections, you can park different applications on different panels. Just as you might keep your phone on the left side of your desk and your pencil cup on the right, you can organize your work in multiple applications if you position your e-mail on the upper-left screen, your word processor on the lower right, and so forth. And you can easily drag and drop information from one program to another, while keeping all of your windows in view.